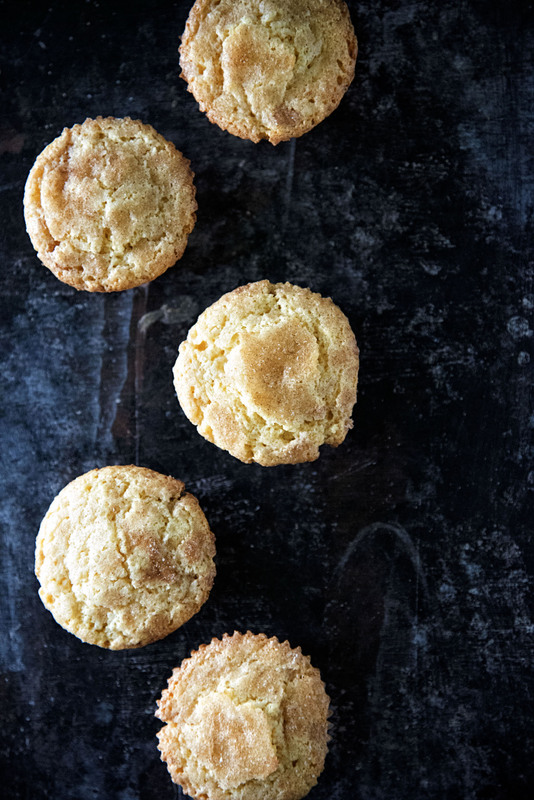 Eggnog Snickerdoodle Muffins: A holiday twist on one of my most popular recipes. 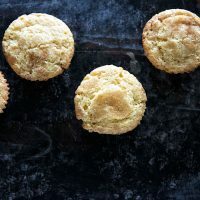 This time using eggnog but they still have that crunchy cookie top and light and fluffy muffin bottom. 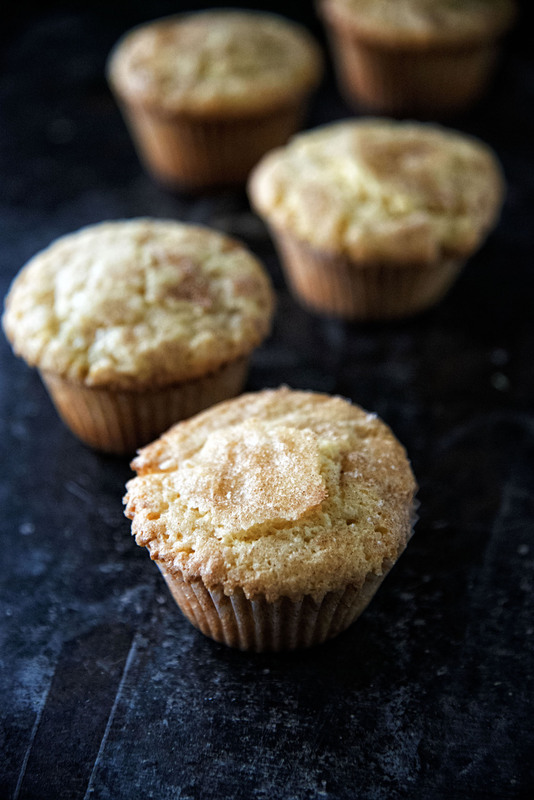 Long time readers of this blog might recognize these muffins. 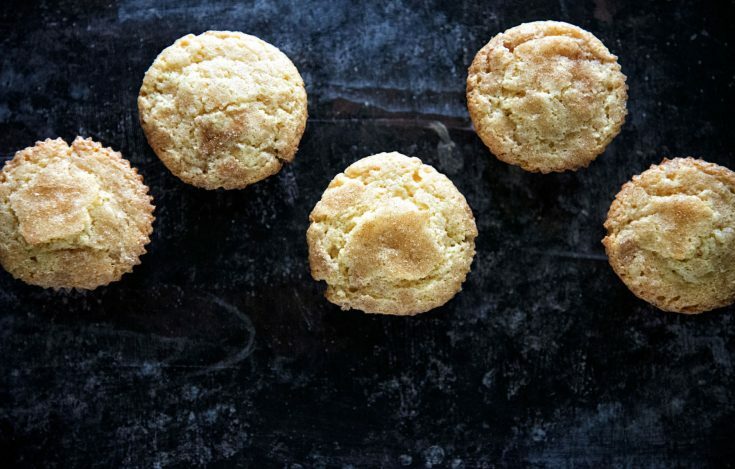 These are a take on the once famous Refund Muffins. Which were really Snickerdoodle muffins. 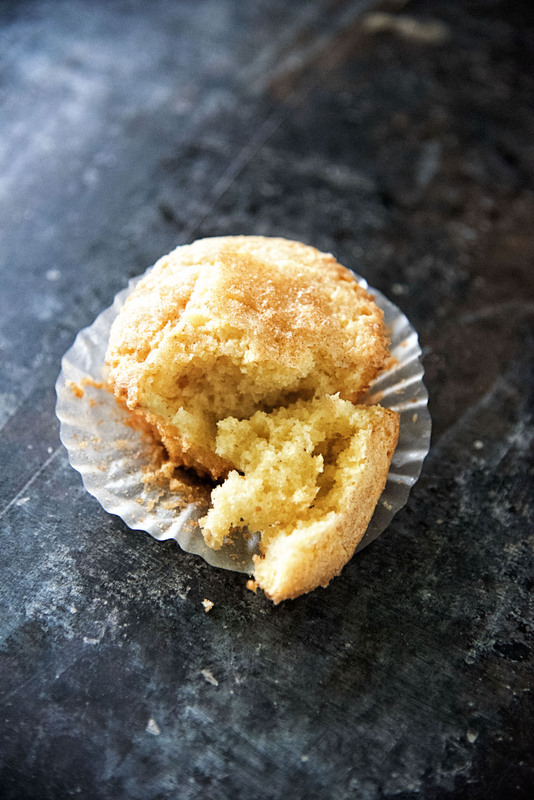 While many food bloggers have gone on to take my idea for a Snickerdoodle muffin, I don’t think theirs compares. Special because they get a cookie top and then have a very light and fluffy muffin base. They are a comfort food for me which I need right now. We are waiting on results to see if one of our dogs has oral cancer or not. Won’t find out until Monday or Tuesday and so I need to stress eat. Since I was making them I decided to give them a holiday twist…eggnog. Technically I don’t like eggnog. But I really like it in baked goods. If you are not a big eggnog fan you can still eat these. They do not have an over the top eggnog flavor. If you do want more eggnog flavor I suggest adding a few drops of eggnog flavoring to the batter. For my muffins you see them lined. But I actually prefer them not in a cupcake liner. I find it makes the outside more crunchy. It’s all preference at this point. If you need me I’ll be stress eating all weekend. Cream the butter and sugar until soft about 3 to 5 minutes. Add in the eggs one at a time and mix until each is incorporated. In a separate bowl, mix together the flour, baking soda, nutmeg, and baking powder and cream of tartar. In a separate bowl, mix together the sour cream and eggnog. Add the flour mixture and the sour cream/eggnog mixture alternately to the egg-butter mixture in the additions, starting with the flour and ending with the flour. Let batter sit in fridge for 30 minutes covered in plastic wrap, this will help it to roll in cinnamon sugar easier. Using an ice cream scoop, scoop out muffin batter one at a time and drop into a shallow bowl filled with the cinnamon sugar mixture. Roll the muffin around in the mixture until it is covered completely in cinnamon sugar. Place muffin into a greased muffin tin. Depending on the size of your tins, you should get about 14 muffins. Bake them for approx. 20-22 minutes in a 350F oven or until they are golden brown. Crossing my fingers and sending good results vibes your way. Sorry to hear about your pup! Oh geez. I’m sorry to hear about your sweet pup….I hope all goes well and that it’s nothing bad…NO bad news during the holidays. I love your original Snickerdoodle Muffin and can’t wait to try this one. Like you, I don’t like to drink eggnog but I sure do love baking with it. These look and sound delicious.